Gather your ingredients. Line a large workspace and a large baking dish with parchment paper. 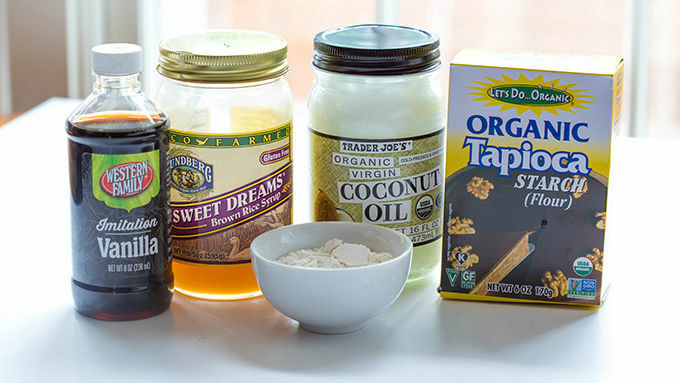 In a bowl, mix together brown rice syrup, vanilla, coconut oil, powdered sugar and tapioca flour until a thick dough forms. Separate into 3 evenly sized balls. 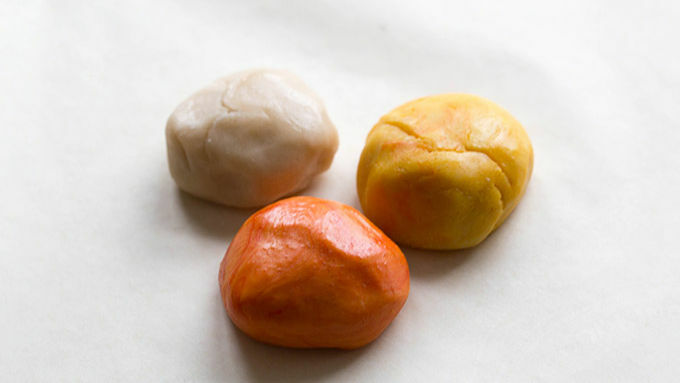 Tint one dough ball orange (by using red and yellow food coloring). Tint another ball yellow. Knead about 1/2 teaspoon of food coloring into dough until evenly colored. If needed, add just enough additional tapioca to mixture to keep dough from becoming overly sticky. It should be the texture of Play-Doh™. 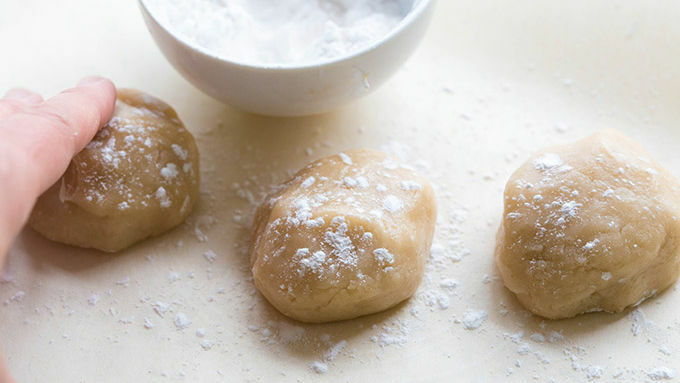 Leave the last dough ball uncolored. Sprinkle a little tapioca flour on the parchment paper. 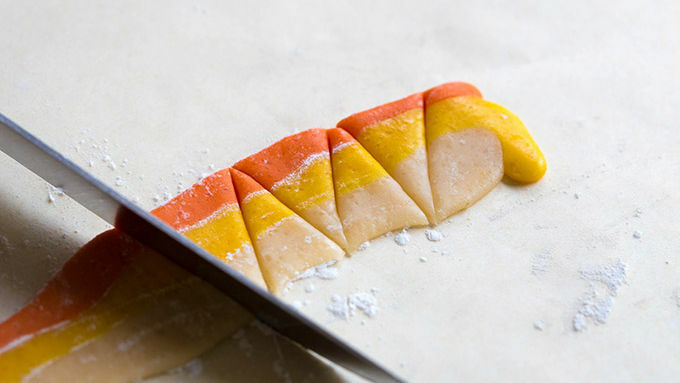 Roll about 1 tablespoon of each color of dough into long, thin ropes. Place the ropes next to each other and gently press down until about 1/2 inch thick. Slice the rope into triangle-shaped wedges. 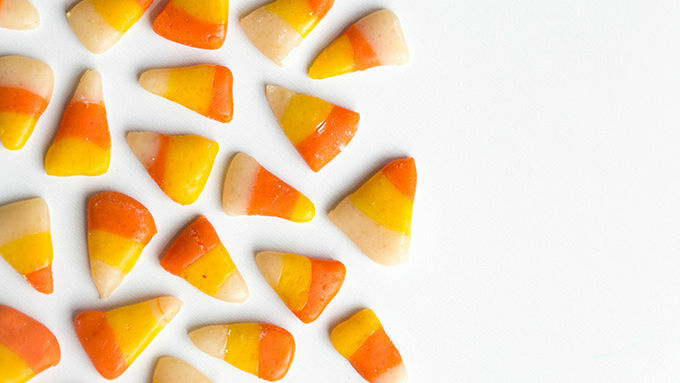 Gently remove each candy corn piece and shape as desired. Place on prepared baking sheet. Allow candy corn to air dry for 24 hours to harden. Serve and enjoy! Made with brown rice syrup and a kiss of vanilla, it’s easier than you think to make this classic candy at home. Want to have your candy corn and eat it, too? I totally get wanting to eat like a kid again, even when you’re making super grown-up decisions—like cleaning up your existence and eating right. Which is why I thought it was a pity that some are living without the candy corn. So, I found inspiration at Free People, hit the kitch and whipped up a splendid no-bake vegan candy corn that’ll have you weeping orange-and-yellow wedges of candy corn tears. And if you think that that was weird, just wait until you see how oddly easy it is to make up a batch! It’s easier than driving to the grocery store. It’s easier than hunting down the candy corn aisle. It’s even easier than saying “candy corn”. Okay, maybe stretching it there on the last one. But, check it. 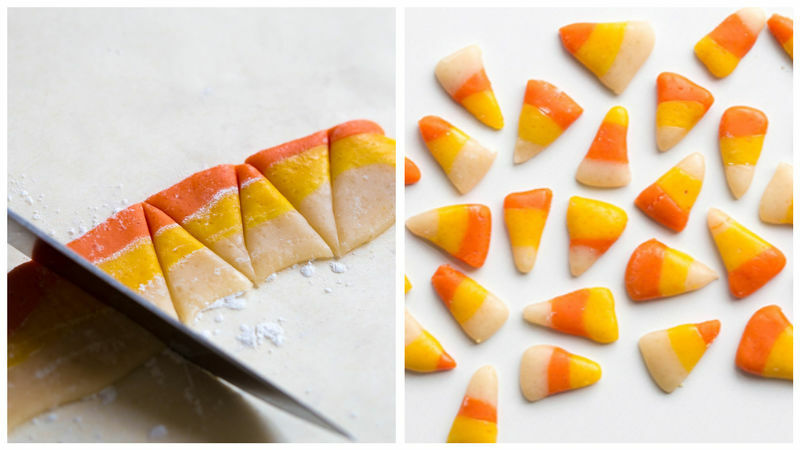 DIY Vegan Candy Corn. It’s easy. Whether you’re vegan, quasi-vegan or just looking to get your kitchen craft on, this is one recipe that makes plant-based candy totally yum!